Welcome to the Young Adult Ministry of the Solanus Casey Center. We welcome you to learn more about Blessed Solanus Casey, and what his life has to say to all the realities that young adults live through today. All age 18-34 are welcomed! Join the email and texting list! Provide us your feedback, take a quick survey. Can you help support our Solanus Center Young Adult Ministry? We would be grateful for your financial donation. All young adults (age 18-34) are welcome at any of our activities, programs or events. 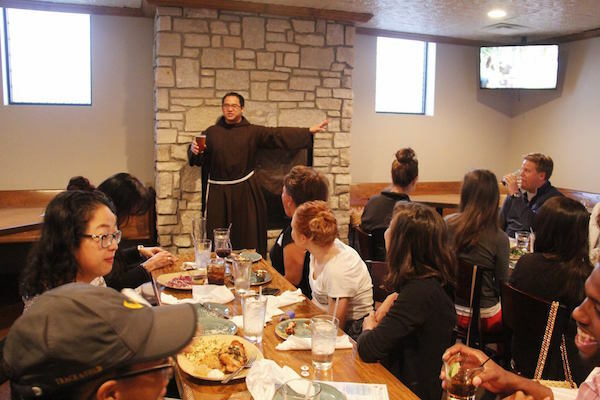 Join us for the Solanus Casey Center's Young Adult (Age 18-35) Ministry event, Tap into Life, a Franciscan Approach to Theology on Tap, every 3rd Sunday of the month. Fellowship will start at 6 PM, and Fr. Tom will start his talk at 7 PM. Discussion will follow. Please spread the word and bring a friend! Lend your hand to help out those in need. 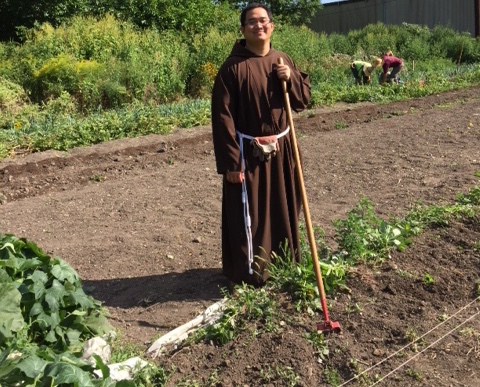 The first Saturday of each month, young adults are invited to join in the good works of the Capuchin ministries for a morning of service. 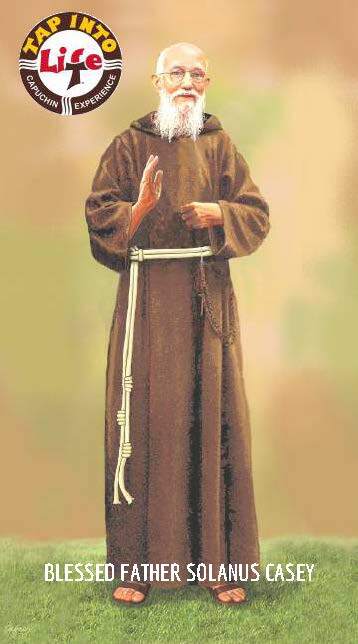 This page is a work in progress – and is open to your suggestions to make it a valuable link for young adults desiring to understand their Catholic faith and follow it with the humble and simple trust of Blessed Solanus Casey.